The course will be $125.00 plus $20.00 range fee and we offer a 10% discount for Military/ First Responders. This class is required by the state of West Virginia and Ohio to receive your concealed carry license. The class is an eight hour course that will consist of six hours classroom instruction and two hours range training/live fire. There is a written; fifty question examination at the end of class. Also, a skills test with 6 rounds fired at an eight inch circle at seven yards (Staff will assist in this test). 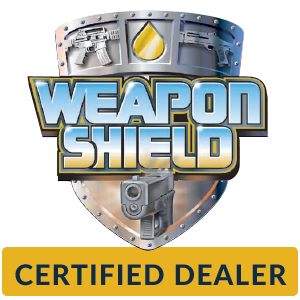 We urge you to bring your choice for a concealed carry pistol or pistol that “you are comfortable with”. If you do not own a pistol, staff will provide a .22 caliber semi-automatic pistol. Please bring a minimum of (100) rounds of ammunition with you for the two hour live fire skills test. Call us today to get the discount code for the Military/First Responder discounts. You will need it to receive the discount when checking out online. *1. Are you under indictment or information in any court for felony, or any other crime, for which the judge in prison you for more than one year? *2. Have you ever been convicted in any court of a felony, or any other crime, for which the judge could have imprisoned you for more than one year, even if you received a shorter sentence including probation? *3: Are you a fugitive from justice? *4: Have you ever been adjudicated mentally defective or have you ever been committed to a mental institution? *5: Have you ever been dishonorably discharged from the Armed Forces of United States of America? *6: Are you an illegal alien in the United States? *7: Have you ever renounced your United States citizenship? *8: Have you ever been convicted of a misdemeanor crime of domestic violence? *9: Are you subject to a court restraining order for harassing, stalking, or threatening? *I certify that my answers above are true, correct and complete. I have read and understand the complete instructions. *1. Participant acknowledges reading and reviewing the Tough Times Training waiver in full. *2. Participant acknowledges that they are at least 18 years of age or older unless accompanied by an adult. *3. Tough Times Training will allow the participant entry into the course after the participant signs this waiver. Participant acknowledges that the course, though beneficial, is not a necessity and that similar courses are offered by other entities. The participant is under no physical or economic compulsion from Tough Times Training to engage in this particular course or to sign this waiver. *4. 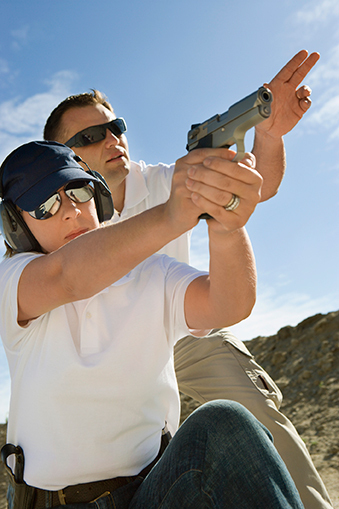 Participant expressly acknowledges that training with live ammunition is inherently dangerous and that there is no possible way that Tough Times Training, its employees, or its agents can provide a totally safe environment for the course. The participant acknowledges that attending and participating in the course will enhance the participant’s exposure to risk of injury occasioned by carelessness of the instructor and other course participants. The participant risks serious bodily injury and harm that includes a risk of death or dismemberment. The participant hereby assumes the risk of any and all injury that may result in participation in the course. *5. Participant will follow all directions given by Tough Times Training agent (the “instructor”) for the duration of the course. The participant acknowledges that such directions are vital for the safety of all course participants. Failure to follow directions from the instructor may result in participant’s ejection from the course without refund of any monies paid to Tough Times Training for participant’s attendance. *6. Participant hereby absolves Tough Times Training of any damages the participant may experience in participating in the course. The participant agrees to hold Tough Times Training, its employees, and its agents harmless from any sort of injury or damage experienced by the participant in attending the course. The participant expressly waives any and all rights and causes of action the participant may have for compensation at law and equity, including negligence, from Tough Times Training, its employees, or its agents in such event that the participant is injured and shall indemnify the same. *7. This waiver shall be binding upon the participant, his/her heirs, assigns, administrators, executors and estate. It shall also be interpreted under West Virginia State Law. The course will be $125.00 plus $20.00 range fee and we offer a 10% discount for Military/ First Responders. YOU MUST BRING YOUR OWN EQUIPMENT AND AMMO. Safety glasses, hearing protection, and a pistol holster of choice are required and will NOT be provided. Recommended but not required equipment is as follows: Pistol magazine pouches (1-2). Class will begin at 8am to 5pm with a one hour lunch break (food not provided) around noon.